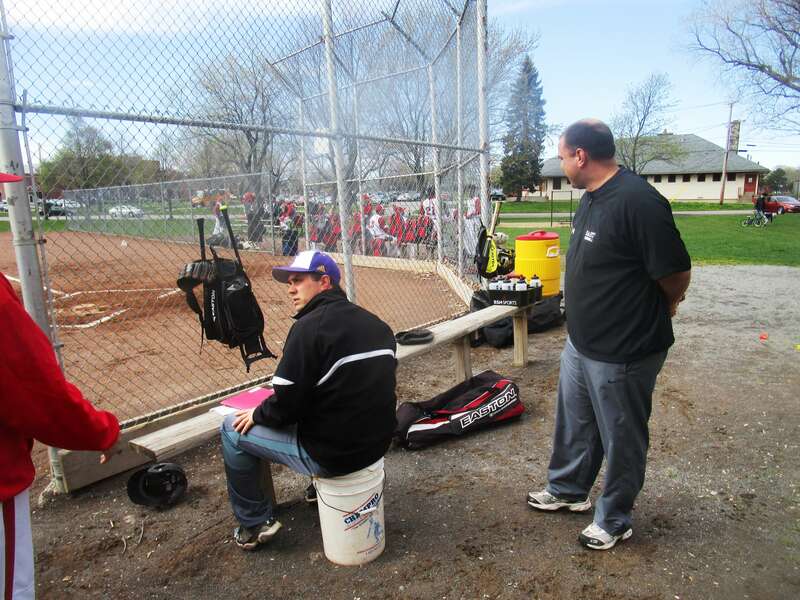 from “Team Eagle” set to open a new field of dreams at East. Roland Williams ’93 drops by for final summer tune up. Team Eagle is looking for veteran and rookie players. To make the long shots and beat the urban odds. To bring some real juice and send home any junk that doesn’t belong! The championship has our name written all over it. The engraving already begun. Ready for the challenge and the glory? 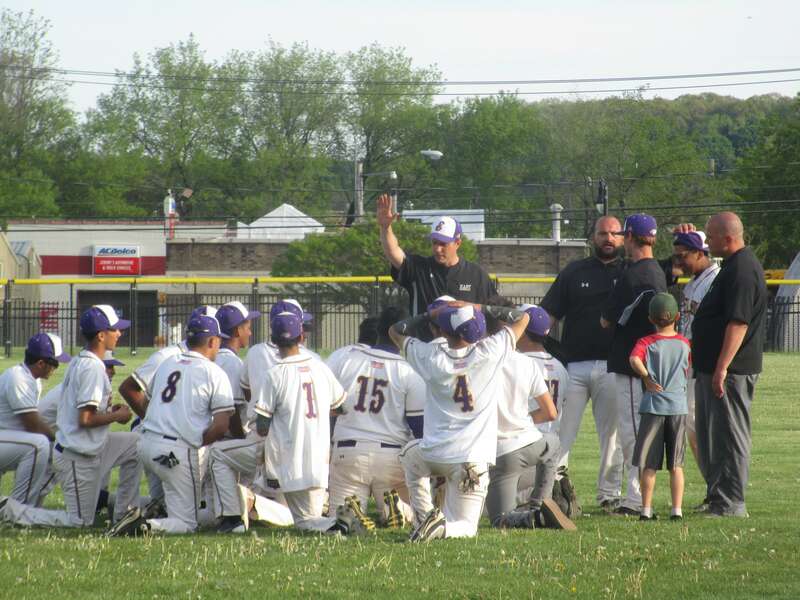 As reported today by James Goodman, no RCSD baseball team has won a Section V title since 1980. 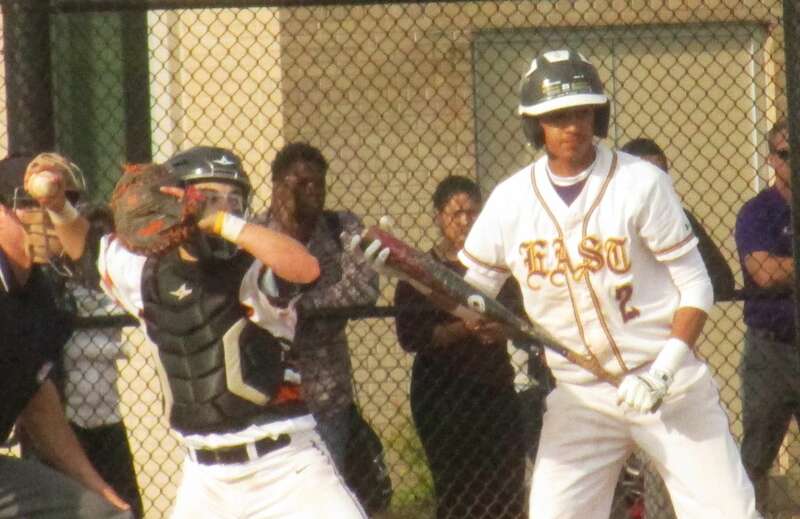 This afternoon, with Principal Blocker cheering, East took one step closer to that championship, notching a 5 – 2 win over Churchville-Chili in the opening round of the Class AA sectionals under sparkling sunshine in front of a big crowd. Those urban odds got that much better. In his season preview, Coach Kyle Crandall saw bright prospects for his squad. He watched as the team came together as a family on a road trip to Cincinnati. Then, East won its third straight City championship, capping an 18 – 2 season. 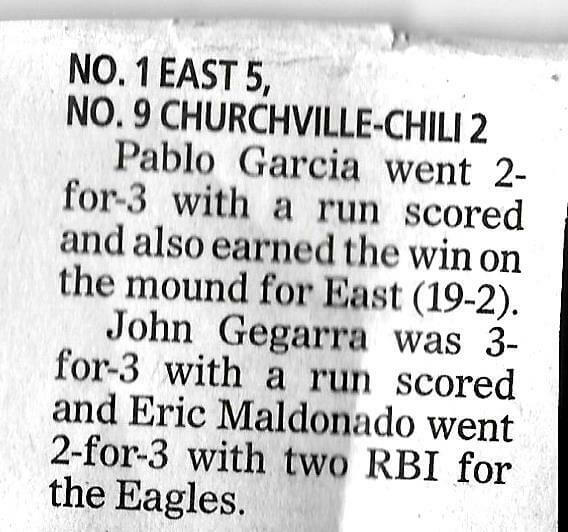 In today’s game, East build a 5 – 0 lead. But Churchville-Chili came back with two runs in the 7th– bringing a call to the bullpen from Crandall — and had the bases loaded with two out. But a force out at second sealed the deal for the Eagles whose sun will rise at least another day. Just about everyone was there. Athletic Director Patrick Irving (who helped restore East’s trophies) was pleased with the turnout. 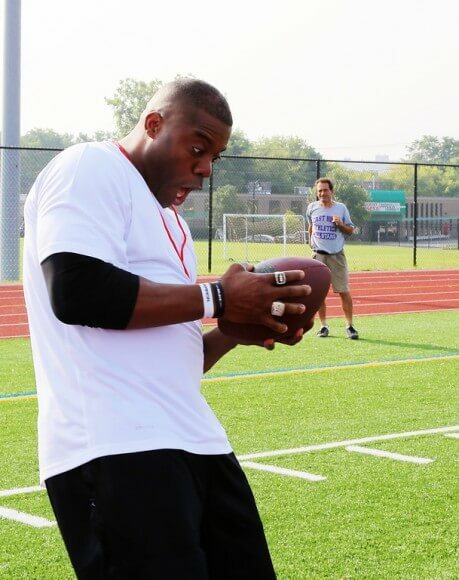 Inching up in popularity with basketball and football, Patrick said baseball games are attracting some fans who might not attend any other outside school event or function. Looking good in his East football jacket, Social Studies teacher Robert Snyder (who you met a few years ago) is finishing his first year at East — also Rob’s alma mater. 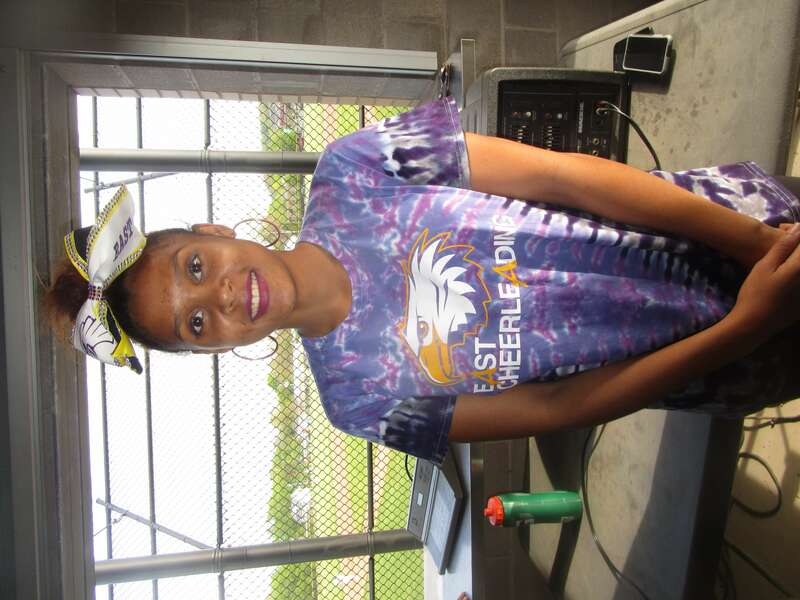 Another first year Eagle was there, 6th grade teacher Khieta Davis. 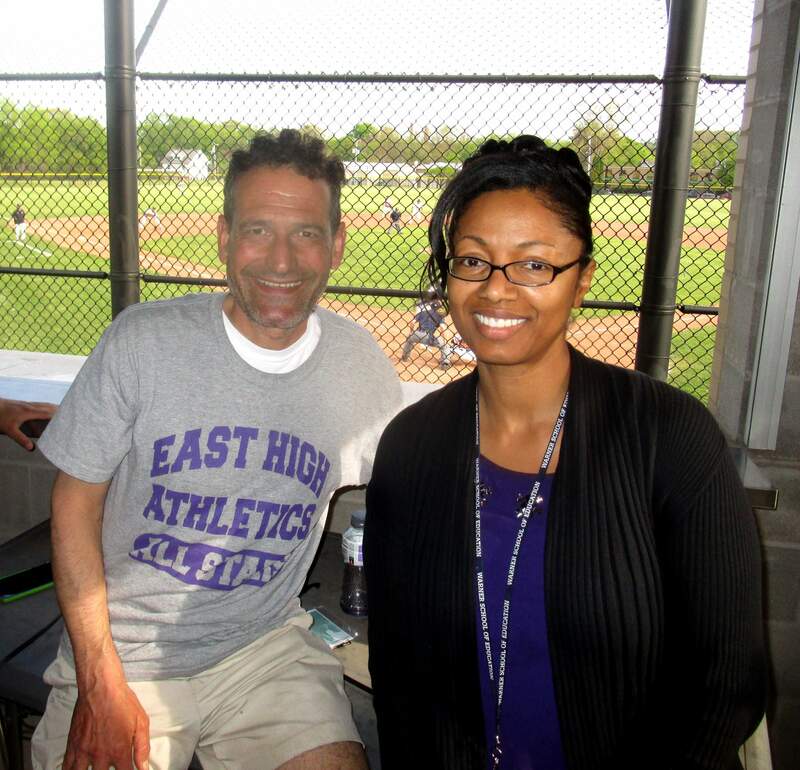 Never too late to jump on the bandwagon, this was Khieta’s first East baseball game ever. She was quick to say not her first baseball game as Khieta has seen the Yankees and, even handedly but disappointingly, the Red Sox. As Khieta was technically with a member of the press, a VIP Press Box photo op was in order. There we met the boisterous Press Box boys, including Ken Jackson who took the picture, and 11th grader Sonyaalice McGrew cheering from above the field. 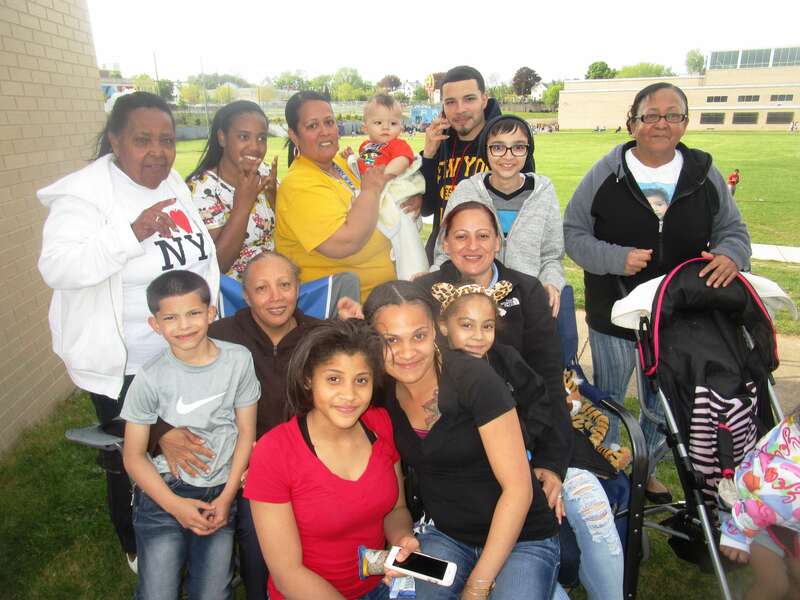 And, while hardly needing to be said, the entire Agosoto clan was in attendance, rooting for 10th grader Jordi playing shortstop. 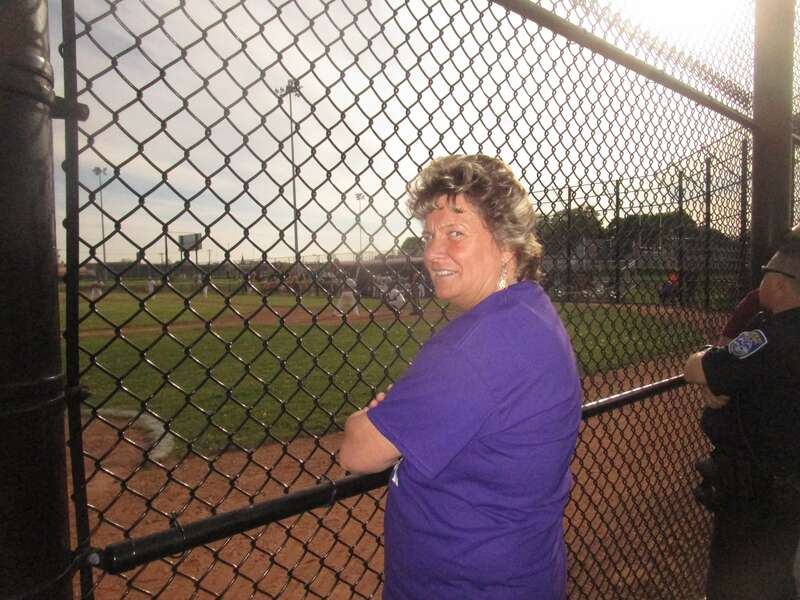 Jordi’s Mom, Madeline, says she has been at every one of Jordi’s baseball games “since he was in pampers.” And this season, the entire clan has been to every East game, home and away. The Jordi clan fan club will have at least one more chance to cheer. 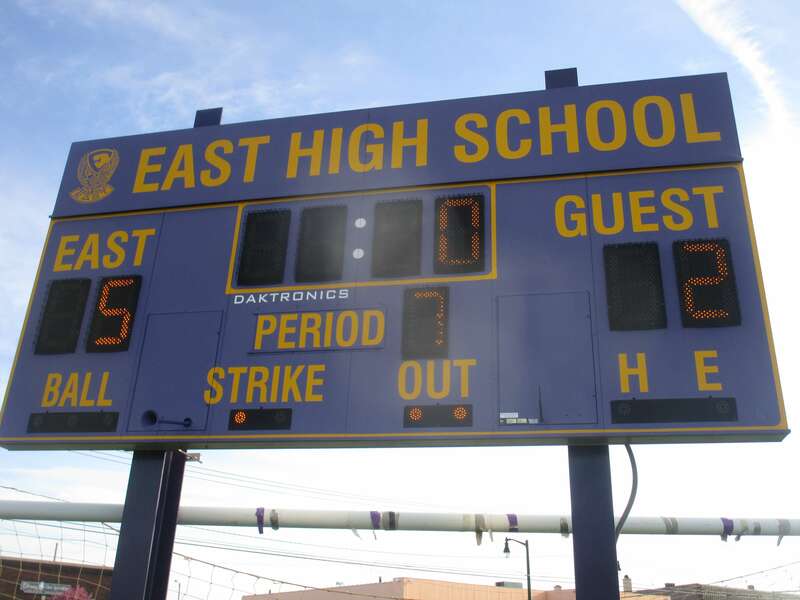 UPDATE: see Following a historic season, East baseball opens with back-to-back no hitters.